John works with Barnum advisors to develop and implement investment strategies tailored to meet each client’s personal needs, opportunities and goals. He began his career in 1999 with Citigroup as a taxable fixed income specialist and was an advisor with Citi-Smith Barney where he specialized in short-term money market securities. 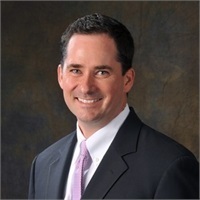 John earned an undergraduate degree in economics from Hartwick College and a MBA with a focus on entrepreneurship and international management from the University of New Hampshire. John also earned his Certified Investment Analyst® (CIMA®) designation.